Female vocalist for The Faze Band, this beautiful singer got her start in modeling and her good looks, personality and stage presence are assets that compliment this incredibly versatile singer. Karen’s voice has been featured nationally on “The Guiding Light” soap opera and she has performed with the Alhambra Theater. She effortlessly covers many different singing styles and together with her impressive stage and studio experience she makes for one sensational performer. He has played with many well known artists and bands including Wynonna Judd, Mark Farner of Grand Funk Railroad, Don Potter and the Chuck Mangione Band, Billy Powell and Leon Wilkerson of Lynyrd Skynyrd, just to name a few. 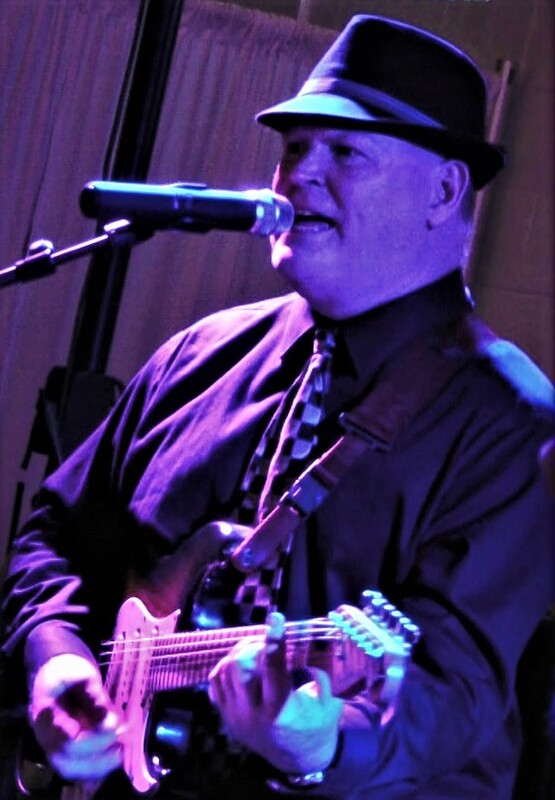 Mike is a skilled technician well-known for his dynamic arrangements and powerful rhythmic grooves. He is recognized in many circles as “The Minister Of Funk”. 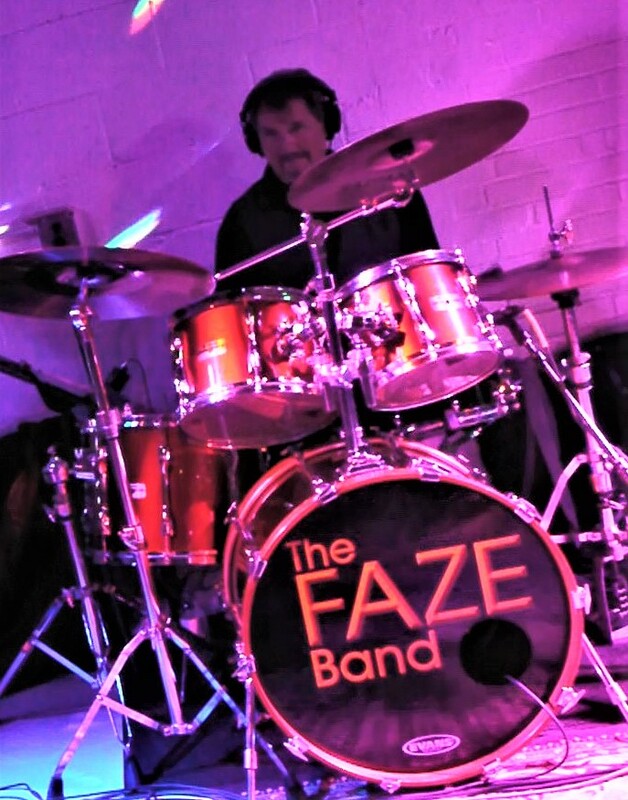 and his drumming is a strong foundation of The Faze Band. With a warm sense of humor and love for music sets him apart from other drummers. 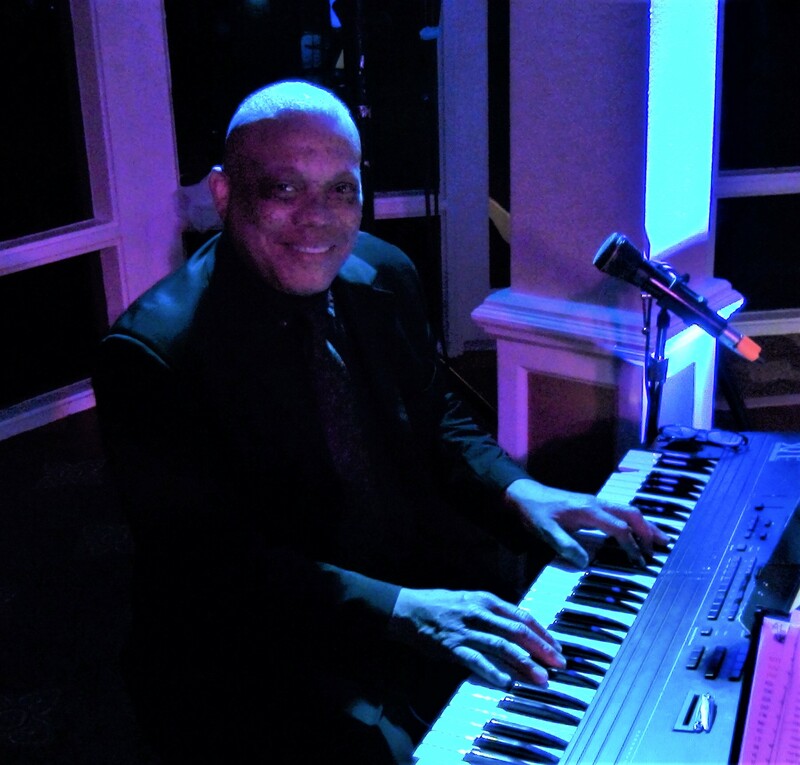 An established player, Eric studied jazz and classical piano at J.U. and attended Michigan State University. He is also adept in entertainment advertising, booking and marketing. His clients include: Peter Bagdonavich, U.S. Senator Bob Graham, Disney and The Jacksonville Jazz Festival. After spending 10 years in New York City where he taught piano and performed at many elite venues, he’s returned home to Florida to perform and write music for films and television. Carla has toured the U.S. performing at various clubs and aboard The Grand Princess cruise ship. 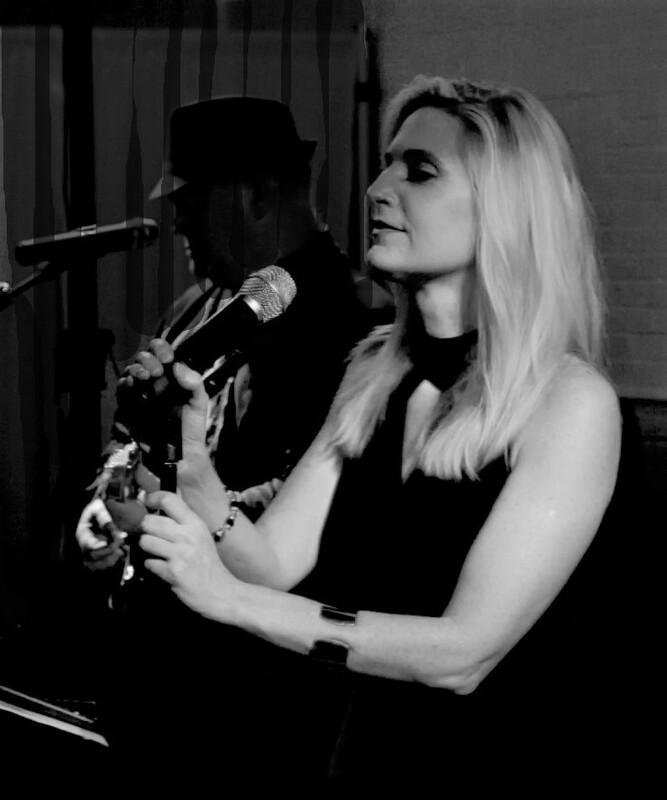 Carla signed on as lead vocalist for the Salvador Santana Band. Later she joined as Carlos Santana’s female guest vocalist and also touring with The Los Lonley Boys, Ozomatli, as well as Robert Randolph and the Family Band. Carla recorded with Salvador Santana and Carlos Santana in the bay area as a session vocalist. 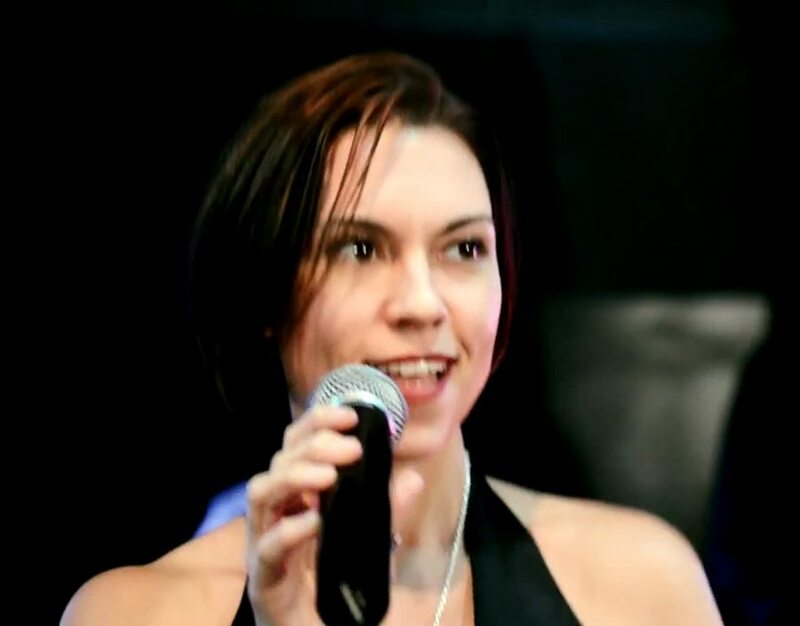 Since returning to Florida, Carla has been playing different venues across South Florida and several professional theater productions at Starstruck Performing Arts Center, making her return debut to the stage as Crystal in Little Shop of Horrors and in Dolly Parton’s role as Doralee in 9 -5 The Musical. 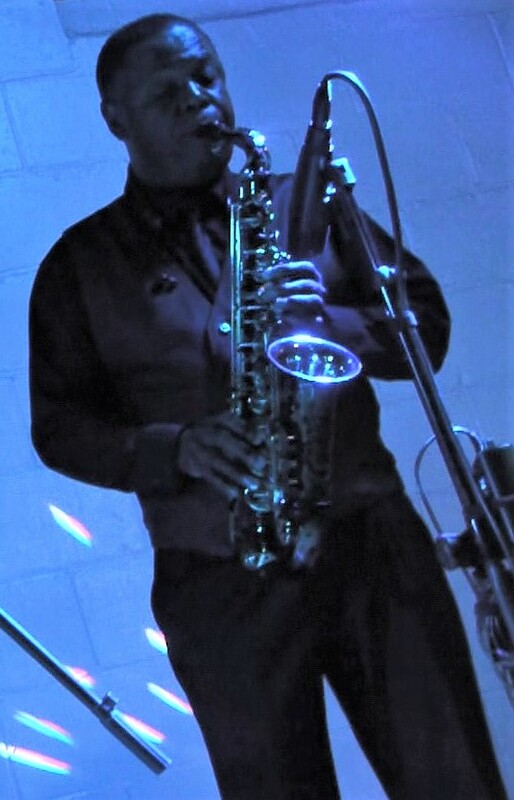 With 25 plus years of professional experience, he plays Soprano, Alto, Tenor and Baritone sax. 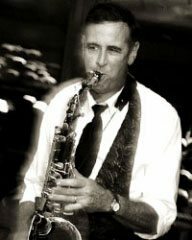 Scott performed in Florida State University’s All Star Jazz Band as a high school student and also after graduation. He traveled throughout the United States and Canada with some of the top entertainers such as Billy Joe Royal, Charlie Daniels, Dan Seals, Lee Greenwood, R.E.O Speedwagon and The Commodores. He also performed at great venues like Harrah’s, Trump Castle, Trump Plaza, The Circus, Casesar’s Palace and many more. A Seasoned “on the road” professional, he calls Amelia Island, FL home. Covering all styles of music, Scott gives his all on every tune and when you hear him you’ll be amazed by this talented player. Originally from Charleston, South Carolina, he started his musical career at an early age. He studied at Leonard’s School of Music, along side such notables as Blue Note Records president and Grammy Award winning writer, arranger and musician, Bob Beldon, and Nashville session and touring musician, Danny O’Lannerghty. Nate is know for his smooth tone and melodic improvisation. He also knows his way around a sound mixer and has engineering skills.